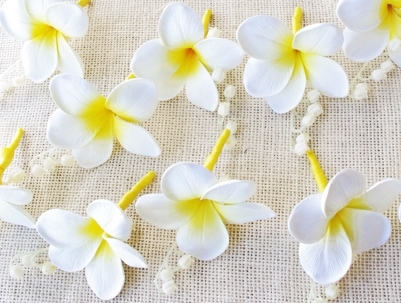 Perfect & Simple Plumeria Boutonniere in YOUR Choice of Color and White Filler Choice. Orchid & White Fill Natural Touch Tropical Boutonniere: ANY COLOR Natural Touch Calla Lily and Plumeria Boutonniere: ANY COLOR! Natural Touch Calla Lily with Grass Sprays Filler Boutonniere: ANY COLOR! Natural Touch Diamond Small Rose & Greenery Fillers Boutonniere: ANY COLOR! Natural Touch Calla Lily and Orchid Boutonniere: ANY COLOR! Natural Touch Calla Lily with White Filler Boutonniere: ANY COLOR! Natural Touch Open Rose Boutonniere: ANY COLOR! Natural Touch Calla Lily and Succulent Sprays Boutonniere: ANY COLOR!